This was such a fun book! Literally, I enjoyed every minute of it from start to finish. The author cleverly used the first chapter of the book to play out a hysterical scene involving the main character being "introduced" to the other main characters in the story. It was such a fun and different way to start a story. So many stories start with an action scene, or some sort of depressing emotional scene- but this was a fun and breezy way to start a story. Yes, there are very sad parts to this story. But the author does a wonderful job of not making the depressing parts the central focus. This book is incredibly visual. I could imagine all of the scenes in my head easily. The author does a great job describing the setting and characters without using information dumps (I'm sure you know what I mean). This is the first book in a series. You will be pounding on the book when you read the horribly cruel cliffhanger at the end of this novel, but this was a great novel. I really have no negative things to say about it (which makes it difficult to write a complete review). Go get this book when it comes out in May. It is perfect for the summer- light, fun, and doesn't require a lot of thought. Exactly what a summer book should be! Ohhh, the cover just drawn me in! This seems like a beautiful book! LOL I hate cliffhangers that just make you want to magically get the second book at this instant! I have seen that cover everywhere. But, what exaclty is the paranormal element, if there is one ? I always assumed it was about mermaids ! I love that is starts off funny. That really is new ! I was dying to read this and then some how other things got in the way and I somehow forgot about it. Thanks for the great review and the reminder. Oh wow! The book cover drew me in right when I came to your page. Not to mention the summery of the story is so great. And to hear that you enjoyed it makes me really want to pick it up and read it! Wow I have been waiting for this book to come out for forever it needs to hurry up lol. The cover completely drew me in, it is just so gorgeous and the title I love. It makes the book feel very unique. I find it really cool that Emma can talk to fish. I mean how awesome is that? And then running into a hot guy who follows you back to school up north, how cute and where can I find one? Lol. 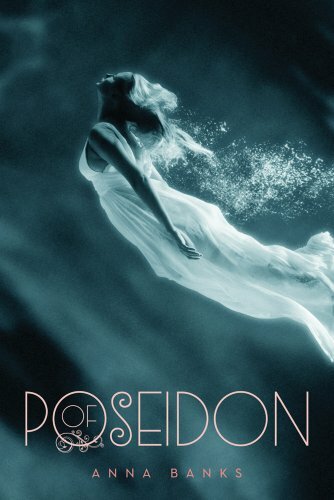 Of Poseidon definitely seems like a book I would love to read and I am glad to know there is a sequel to this. I also love that fact that it is an emotional story at times. It seems silly when you actually get sad or mad because of a story but I love when the writing is so well done that you actually feel what the character is feeling. You say this book is visual and I totally believe that it is. Especially with this story being so unique and different I can tell that I will be able to easily picture what is in this story. May needs to come a lot faster because I am dying to read Of Poseidon.